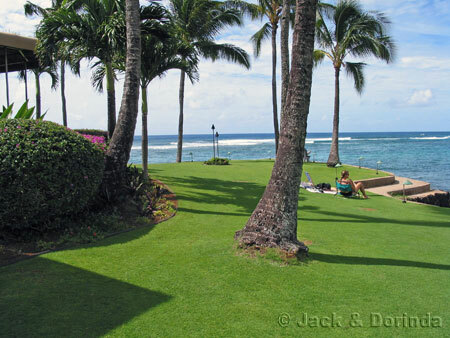 This is Prince Kuhio beach directly in front of the Prince Kuhio Resort. It is about 50 feet away! There is great sunbathing, snorkling, and surfing here. 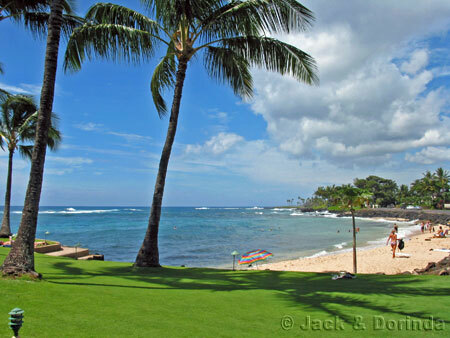 This is a picture of Lawai Beach which is next to Prince Kuhio Beach but is seperated by the Beach House Restaurant. 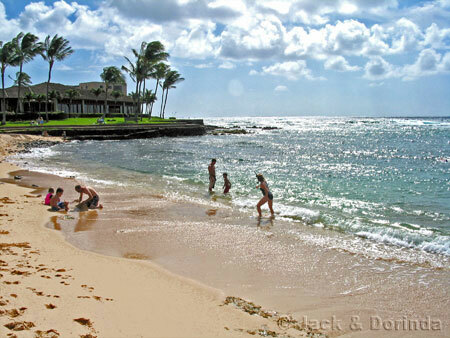 It is one of the most famous snorkling beaches on the island of Kauai. 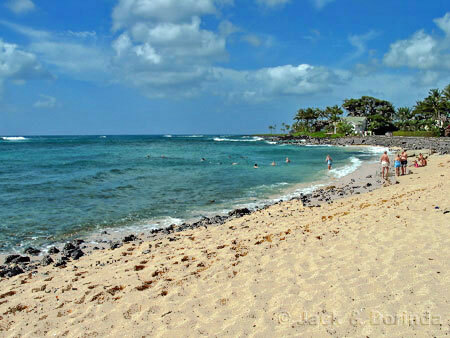 Another picture of Lawai Beach, this time looking away from the Beach House and down the south shore. This is also a picture of Lawai Beach looking back up the beach to the Beach House Restaurant. This is the Beach House Restaurant. The food is usually very good. You can eat great food, watch the surfers, and see the sunset all from your table. It is across the street from Prince Kuhio Resort. Speaking of watching the surfers. Here are a few surfing at PKs. 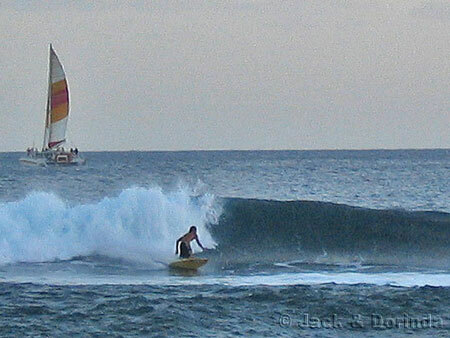 The reef provides a great place for surfers. There are 3 surf spots named PKs, Centers, and Acid Drop. 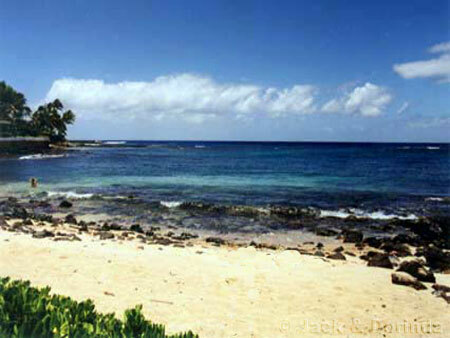 The reef protects the beach and makes Lawai beach on of the best snorkeling spots on the island of Kauai. Snorkling with the pros! 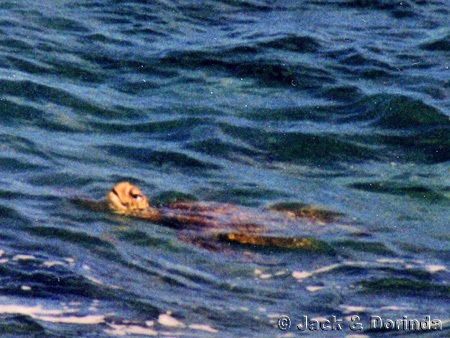 This is a picture of a turtle swimming around the shoreline at Prince Kuhio Beach.